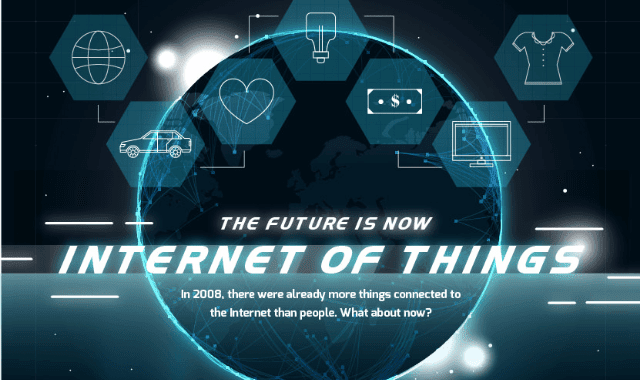 The Future is Now: Internet of Things #Infographic ~ Visualistan '+g+"
Internet of things (IoT) refers to the international networking of physical devices that are fitted with sensors, actuators, software and network connectivity that enable them to collect and exchange data. The global standard initiative on internet of things referred IoT as the “infrastructure of the information society.” IoT provides a mechanism for sensing and remotely monitoring objects across a network. This makes it easy to integrate the physical world into a computer based system. Consequently, the efficiency and accuracy of collection and exchange of data is improved and this translates into economic benefits.